The famous Samarina amphitheater is built at an altitude of 1550 meters on the eastern slopes of Smolikas below the forest Kiourista. In Samarina Bishop Domokos, Chrysanthos (manuscript 1853), 300 years ago the village was built near the monastery of Agia Paraskevi, 7 km south of the village. The transplantation was "... by the number of snakes, and even Ehidnons part of him too closely." This is one of the most famous villages in Greece. In a wonderful journey thus far, the huge old pine trees alternate with dense beech. 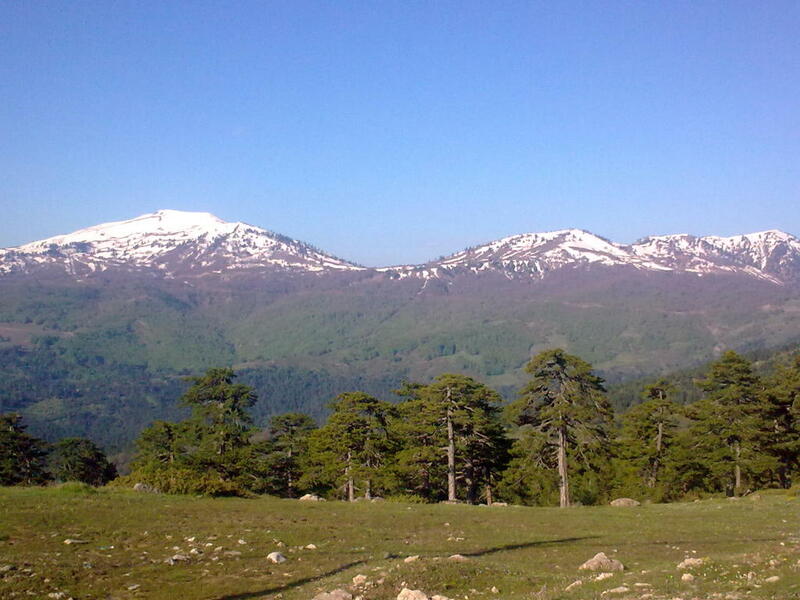 The landscape has a wild, rare beauty, as of course all areas of the Pindus. Visitors will be enchanted by the uniqueness of the spectacle presented by the stream of Valia Kirna, southwest of the village. This stems from the mountain, and passes through the region a length of 6 km. Through forest road, pretty rough, we reach the point where the stream forms a 2-3 beautiful waterfalls. Southwest of the village at the foot of Smolikas, we find two lakes known as "Drakolimni. There are alpine newts, while most foaming over the great waterfall Smolikas, employment Spintzouriata (ie hanging water), which sheds its waters to the rugged canyon of Valia dense-foresty Kirna, Skontina. With the stream of Valia Kirna joined at some point and the stream garlic-Greco stream emanating from areas Gomara, Tampouri Samarina. In the forest "Kiourista" over Samarina, is the source (Fantina) "the lady" next to the fountain which is built renowned for its limpid, crystalline water. 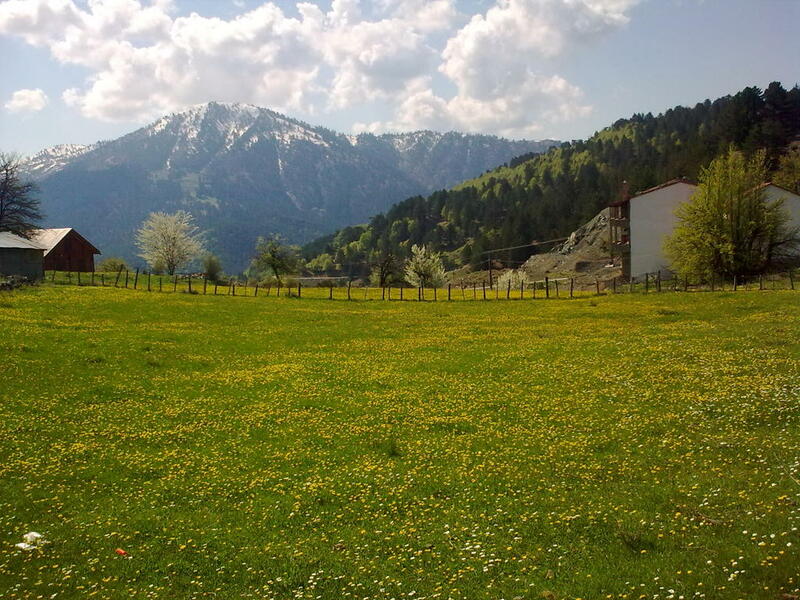 Also a green meadow in the woods, where young people play sport in the village, is the source "Moutsialia. The region of the village is covered in large part by forests consisting of bushes, beech, black pine, oak, fir, maple, arkentho, dogwood, poplar, willow, etc. The fauna includes bears, deer, wild goats, wolves, foxes, badgers, squirrels, wild pigs, rabbits and many species of eagle, kestrel, buzzard and blackbirds. All fountains which are located in Samarina is stone built under Turkish rule. These are the "Great Lady" of "Little Mary", the "Gkavani", the "Smith", the "Papakyrgia", the "Papazisi", the "Kypritzi", the "Bizos" means "five" the "Lesoura" and "Zeki". Outside the village are: tap Aphrodite (Greco), the Kontouri fountain and the fountain in the woods Kiourista. 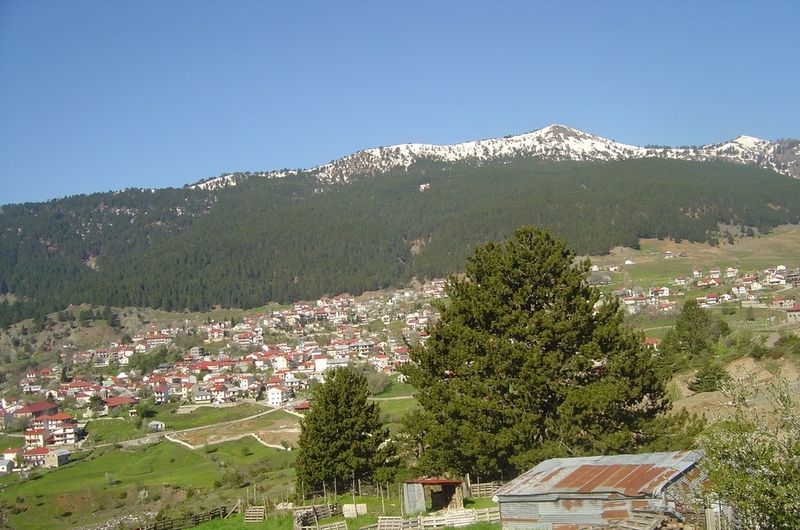 800 to 1000 people live in Samarina in summer and from 5 until 20 August the population reaches the 3,000 guests. In winter, they live here only 5 guards. Most people of Samarina are farmers, loggers and there and some self-employed (shopkeepers, hostel owners, etc.). The summer also work in the village a swords and a tailor.